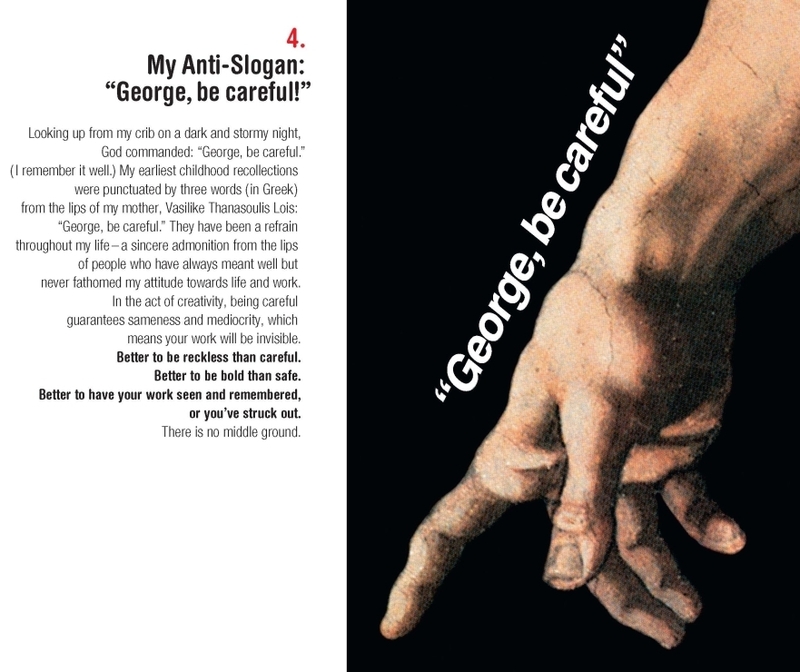 Pioneering ad man George Lois is here to help you “unleash your creative potential.” In his new book, Lois shares his secrets for making a catchy commercial that will stick in your head. The No. 1 rule? Be outrageous. George Lois, pictured above in the early 1960s, was a pioneer during the “Creative Revolution” of American advertising. Don Draper, the main character on the hit TV show Mad Men, is said to have been inspired by a real Madison Avenue ad man: George Lois. Lois was a leader in the “Creative Revolution” in advertising during the 1950s, and became one of the most influential art directors in advertising history. His work helped make brands like Xerox, Lean Cuisine and Jiffy Lube famous. Lois is perhaps best known for creating iconic Esquire magazine covers, many of which now reside in the Museum of Modern Art. Lois recently talked with NPR’s Renee Montagne about his work and his new book, Damn Good Advice. 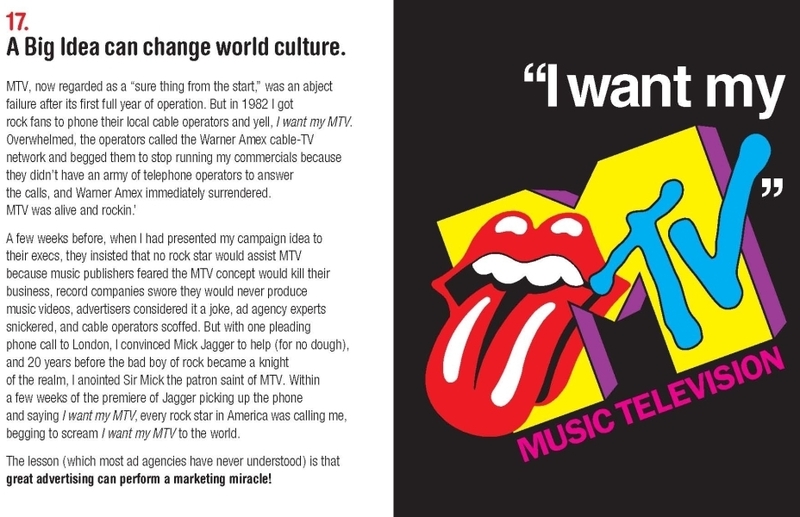 In the late ’50s, he worked at the Doyle Dane Bernbach agency, the first agency that matched great art direction with great writing, according to Lois. 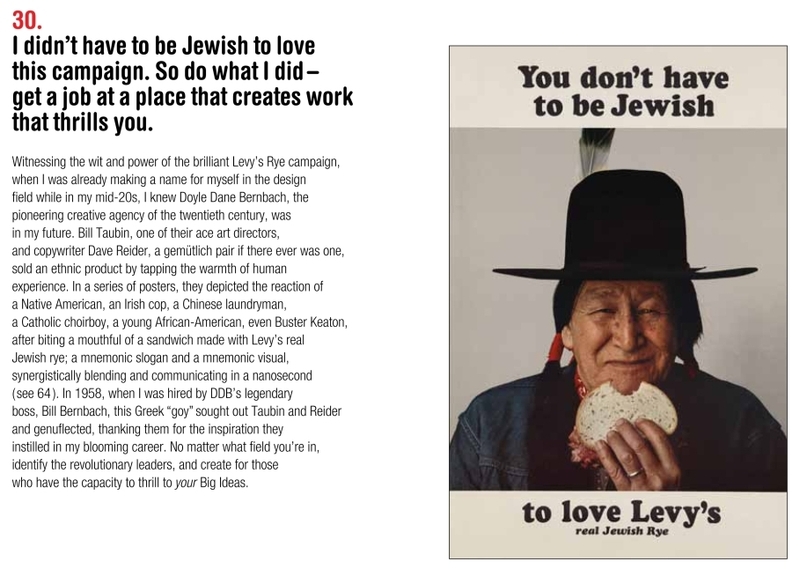 One ad that Lois is particularly fond of was one his colleagues created for the 1957 campaign for Levy’s Jewish Rye. 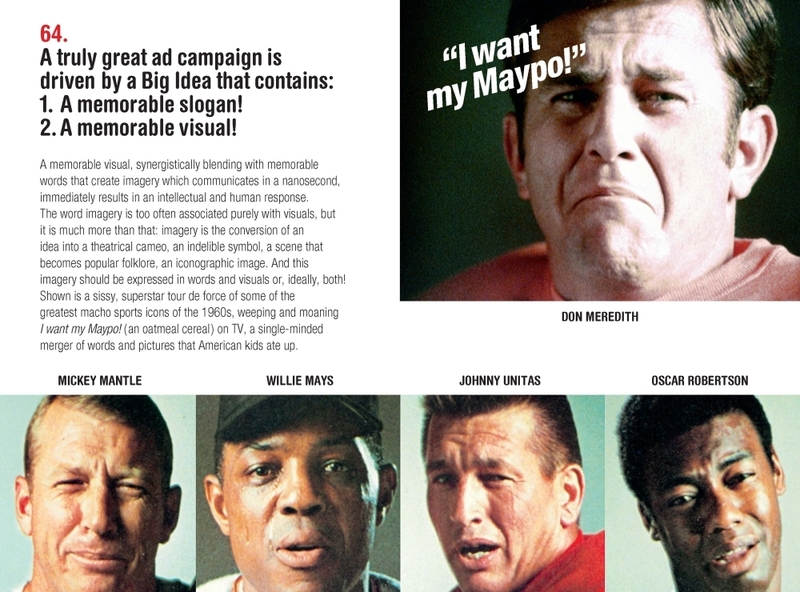 Lois considers this campaign great because it had a memorable tag line, and the visuals were compelling. “Those two things together create great advertising,” he says. It’s as simple as that. Lois says he’s been thinking differently for as long as he can remember. Once, when he was enrolled in a design course as a teenager, his instructor told the class to do a study based on pure rectangles on an 18″ by 24″ sheet of paper. The assignment was worth half their grade for the season, but while Lois’ classmates nervously cut shapes out of their papers, Lois sat idly, looking out the window, not touching his paper at all. One of Lois’ clients was the pancake company Aunt Jemima. He began working on their advertising campaign before they made syrup, when they were only known for their pancake mix. Wondering why the company didn’t have their own syrup, Lois devised a questionnaire about pancakes. It asked consumers which syrup they’d purchased recently, and he included an option to circle “Aunt Jemima Syrup,” a then-nonexistent product.